Huawei Nova 4's punch screen/pinhole tech has made noises since it was announced in an event in China last December 2018. It's one of the first with a hole in the screen for the selfie camera instead of a notch. But how did Huawei "bury" the camera within it notchless and an absolute bezel-less screen? Huawei has shared that the very first thing they did in the process was to find the smallest front-facing camera in the industry. The size of Huawei nova 4's selfie camera is only 3.05mm of which the lens' diameter is 20 percent smaller than the standard of the selfie cameras. The second scheme of the process takes place on how the Chinese giant will hide the camera. 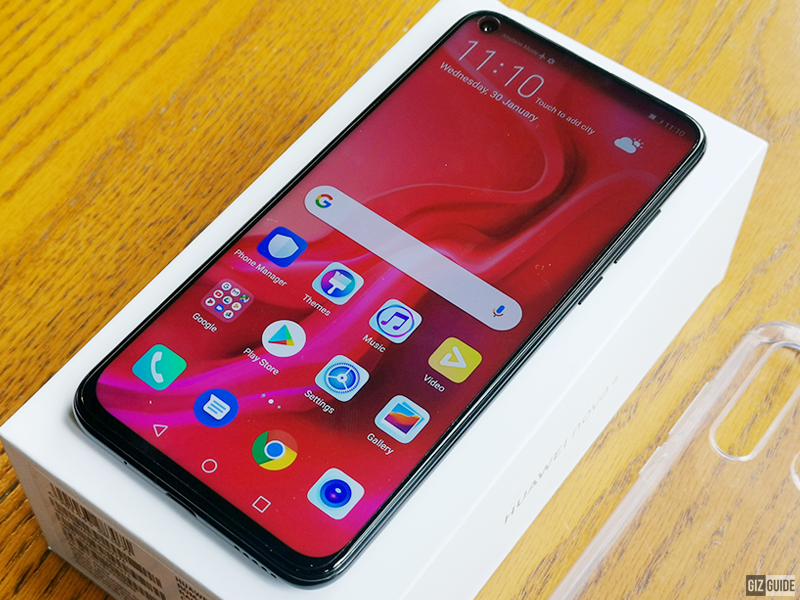 Samsung Galaxy A8s' Infinity-O display tech used a "through hole" method which means the South Korean tech giant have made a hole through the layers up to the LCD screen and fill the hole with the front camera. The Chinese smartphone giant mentioned that they have used the "blind hole" method to bury the Nova 4's camera. It's a method that allows for a smaller display of the lens by 1mm. Huawei has also shared that he assembly of the phone components have to be redesigned to achieve a 0.2mm gap space between the lens and the backlight layer of the LCD screen. The notch of the smartphones have been holding not just only the selfie camera but also the other components like proximity sensor, receiver, ambient light sensor, indicator LED, and earpiece. 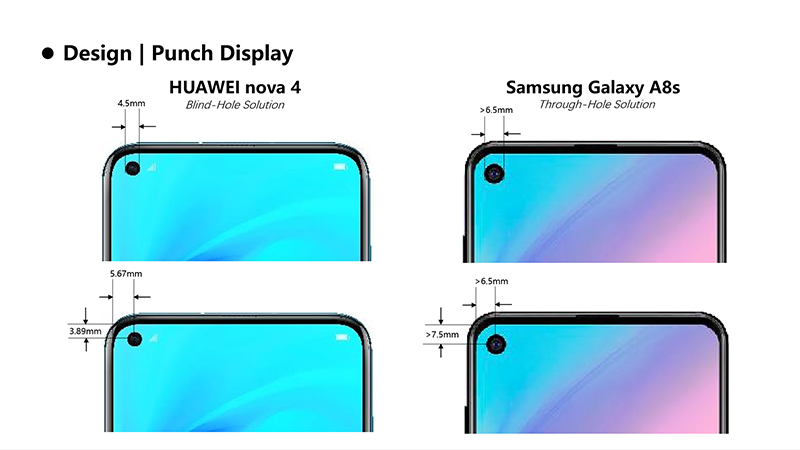 Since Nova 4 is notchless, these components have disappeared on the front view of the Nova 4 except for the 0.85mm micro-seam earpiece lying at the top of the phone. Meanwhile, the ambient light sensor is hidden within the phone. Huawei shared that the proximity sensor, transported to the top of the middle frame, has been redesigned to tilt at a specific angle that allows the sensor to detect object from the parallel direction, allowing the screen to be turned off while you are making a call. 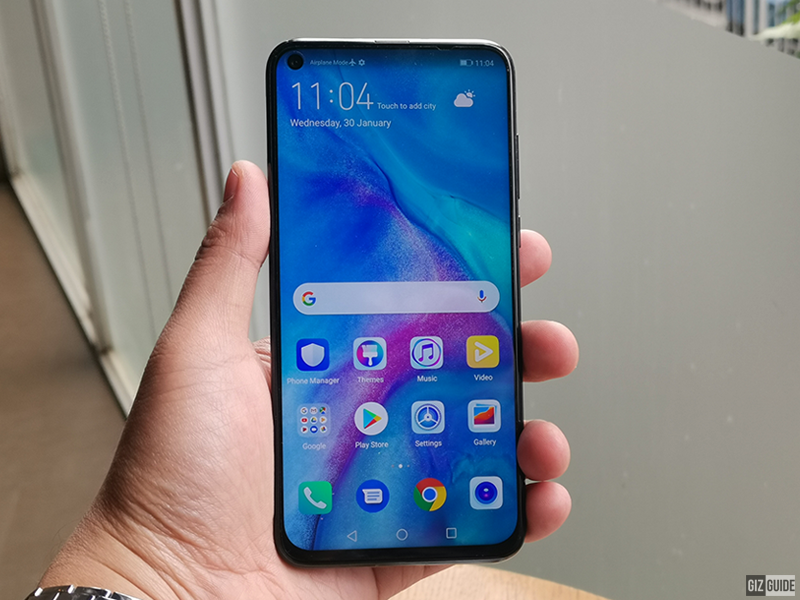 Huawei nova 4's "Blind-hole" vs. Samsung Galaxy A8s' "Through-hole"
The final result of these processes is an absolute bezel-less display with a 1080 x 2310 pixel resolution and a screen-to-body ration of 86.3 percent. It also has a front-facing camera that is “buried” on its 6.4-inch screen. 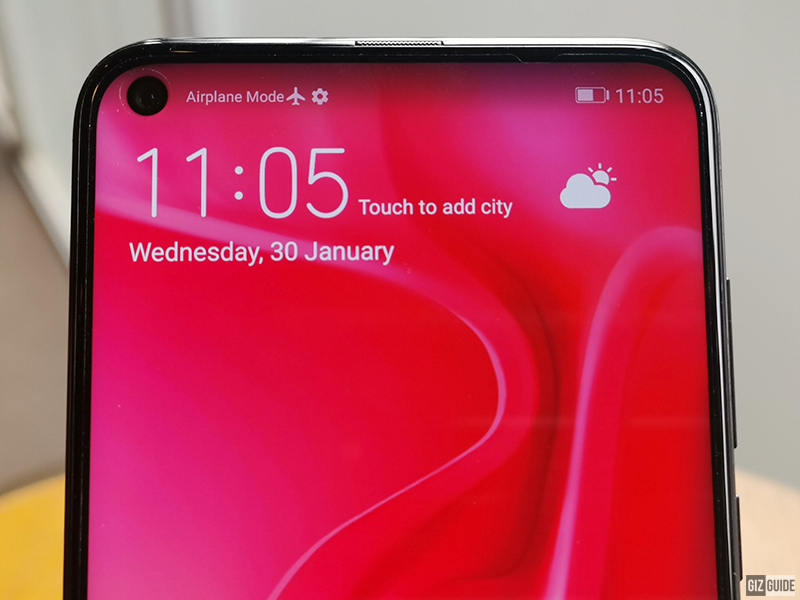 What do you think of this bezel-less yet notchless screen?